Brain Balance Music is designed and customized to Dr. Robert J. Melillo’s specifications, based on extensive research and knowledge that certain types and frequencies of sound are specifically processed by the two hemispheres of the brain differently. 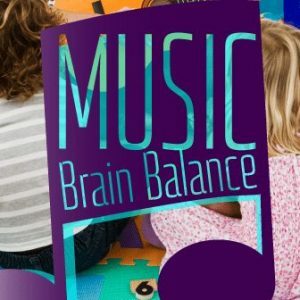 By using specific music and sounds BrainBalance Music may help to stimulate one hemisphere more than the other and possibly create more balance in the brain. You should listen to the music three to five times a day for at least ten-minute sessions. Either a walkman should be used with one earpiece taken out or removed. In this instance, you will listen to the music in the ear opposite the side of the brain hemisphere that we wish to stimulate i.e. music in the left ear for the right brain etc. If a walkman is not used, an earplug can be used in the ear that is on the same side of the brain as we wish to stimulate. For example, to stimulate the right hemisphere, place the earplug in the right ear. With the earplug in place, music can be played in the background. In this instance, the music should be kept on for at least 15 minutes. If you cannot tolerate either a walkman or an earplug, simply play the music in the background at the same volume level for 15 minute intervals. Since Brain Balance Music is specifically designed to stimulate either the right or left brain, it will still have a specific stimulating effect without the isolation of one ear from listening.